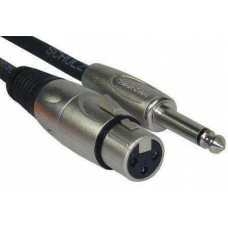 Microphone and symmetric connecting cable 2 cores shielded SCHULZ Kabel MK 6 braided shield outside diameter 6 mm, 2 x 0,12 mm² 1 XLR-plug S 101 to 1 XLR-jack S 100 length: 10 m.. 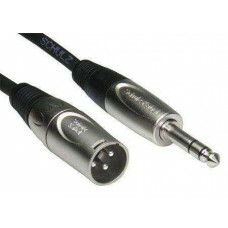 Microphone and symmetric connecting cable 2 cores shielded SCHULZ Kabel MK 6 braided shield outside diameter 6 mm, 2 x 0,12 mm² 1 XLR-plug S 101 to 1 XLR-jack S 100 length: 3 m.. 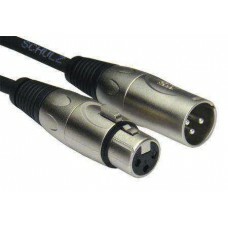 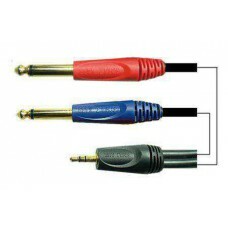 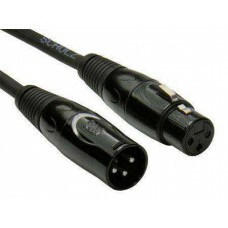 Microphone and symmetric connecting cable 2 cores shielded SCHULZ Kabel MK 6 braided shield outside diameter 6 mm, 2 x 0,12 mm² 1 XLR-plug S 101 to 1 XLR-jack S 100 length: 6 m..
Cable for connecting equipment together with symmetrical stereo 6.3 mm plug out. 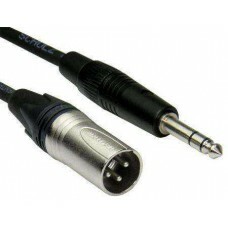 2 cores shielded SCHULZ Kabel MK 1, noiseless braided shield with copper wire, OFC, cotton filler outside diameter 6 mm, 2 x 0,2 mm² 1 stereo plug 6,3 mm Neutrik NP 3 CBAG to XLR-plug Neutrik NC 3 MXX tip on 2, ring on 3 length: 7,5 m ..